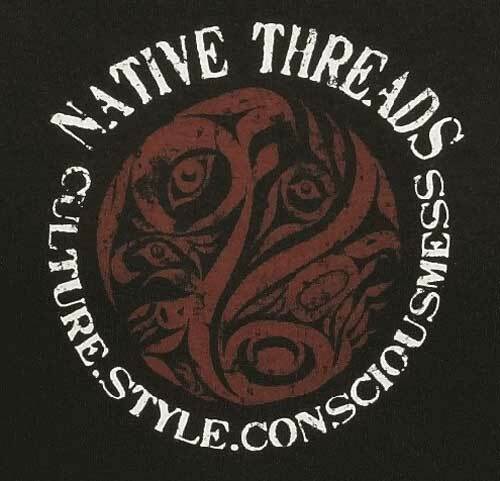 Native Threads is well known throughout Indian Country. It's an Indian owned company that designs clothing with contemporary and colorful artwork and messages. 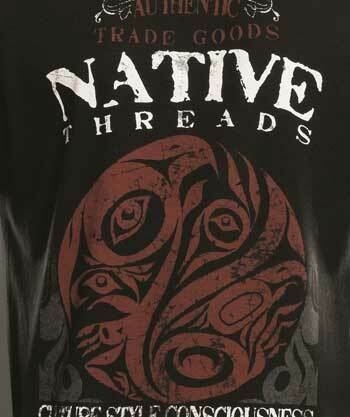 Exceptional quality with designs that stand apart from most other Native-themed products. These shirts will combine with other non-clearance shirts for the quantity discount. 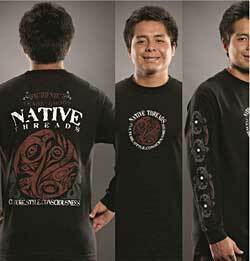 Very cool long sleeve shirt with Northest Coast designs! There are designs on the the front, back, and down the sleeves. Generously cut and preshrunk to minimize shrinkage.